Chrome OS 72 is starting to roll out to users with a wealth of changes, including a tablet mode, improvements for Android apps and plenty more. For one, Chrome OS 72 brings native Google Assistant and Android Pie to more Chromebooks. Those features initially came with Chrome OS 71 but were limited to the Pixel Slate. Speaking of the Slate, it and Chromebooks like it now have access to a tablet mode that should improve usability. The changes are relatively small, however. When you switch from laptop mode to tablet mode, UI elements like the tab bar and toolbar get bigger. Additionally, users can change to the mobile version of a website using the overflow menu (the three dots in the top right corner) in the browser. Additionally, Chrome OS 72 will lets Android apps access external storage devices like microSD cards and USB drives. This is a massive boost to productivity, and it’s helpful on lower-end Chromebooks that don’t have a lot of internal storage. 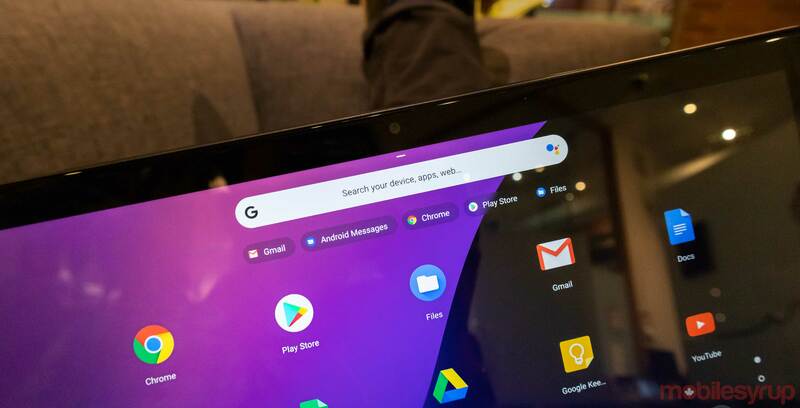 Chrome OS 72 brings another Android improvement by making app shortcuts searchable. Previously, users could only access app shortcuts by right-clicking or pressing-and-holding on an app icon. The update also brings some improvements to the Linux side of things. Now, users can open .deb files in Downloads without having to move them to the ‘Linux files’ folder first. Additionally, Chrome OS users can now switch DPI modes in Linux apps — a handy addition for apps that aren’t optimized for high-DPI screens. There are plenty more features as well. For a full breakdown, you can check out this update post from the Chrome team. Unfortunately, for all the new changes, there are a few things that are still missing. For one, Linux apps still can’t utilize the GPU. Additionally, Google added Picture-in-Picture to Chrome OS using an extension, but there’s currently no native support for the feature.